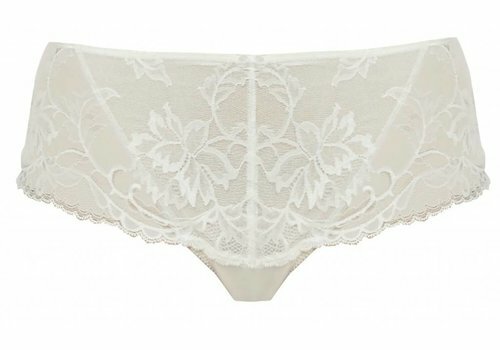 The bells are ringing in the Bronte Underwire Longline Side Support Bra in Ivory. This classic, sophisticated piece is made to inspire elegance and grace. There is a matching garter and pantie to complete the look.